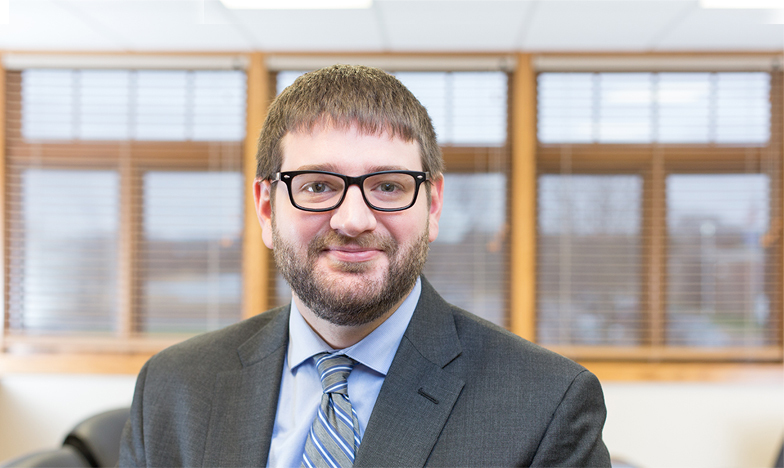 Benjamin practices with the firm’s Business, Frac Sand, Mining and Minerals, Probate and Estate Planning and Labor, Cooperative, Employment and Municipal Law Sections. Benjamin received his undergraduate degree from the University of Wisconsin-Eau Claire, with a B.S. in Criminal Justice. He received his law degree from William Mitchell College of Law where he graduated with honors. While in law school, Benjamin worked for Hennepin County in their Child Support and Civil Divisions. Benjamin is a member of the American Bar Association, Wisconsin Bar Association, Eau Claire County Bar Association, and the Tri-County Bar Association. Benjamin and his wife currently reside in Menomonie. In his spare time, Benjamin enjoys playing guitar, hunting, fishing, riding his motorcycle, spending time with family and friends and cheering on the Green Bay Packers.